Pogo is my name; giving LOVE is my game. 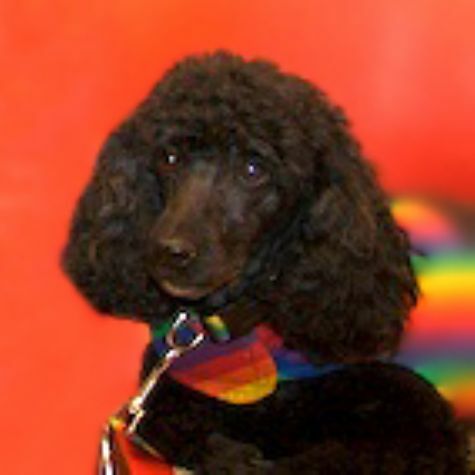 I�m a male Miniature Poodle, and people say I�m a very cute, charming love-bug. When we visit hospitals, schools, and retirement homes, everyone appreciates the fact that I'm friendly but not obnoxious. When we first joined LO4P, Mom didn't have to teach me to lie still and cuddle close on beds. I knew that all by myself, because I�m smart. I like to take dog classes, play with my dog-brother Max, and chase our cats. I�m nearsighted, but life is good!